"And I thought the end of the world couldn't get any worse"
Just as I'm thinking that the production team have acknowledged the faults from its first series last year, they then go and release this into the wild! Actually, for about the first 20 minutes or so this is a thoroughly gripping, tense piece of drama. Team Torchwood's 'torture' of suspected alien Beth is disturbing and uneasy and throws some not so terribly flattering light onto the various members of the group, especially Jack. It's not a very subtle analogy for terrorism and Guantanamo Bay and it all feels horribly 'Rumsfeld' in its 'torture first and ask questions' later policy but at least a piece of adult drama was threatening to manifest itself. But, in that first half, the ensemble playing and, particularly, the very strong performance from Nikki Amuka-Bird as Beth begin to raise the game for the series' quest to be taken seriously. The morality and amorality of torture in a time of war should have been the entire raison d'etre of the episode and the premise of whether this poor woman was human or alien and what it means to be human to both victim and interrogators should have been enough to sustain this for 45 minutes. 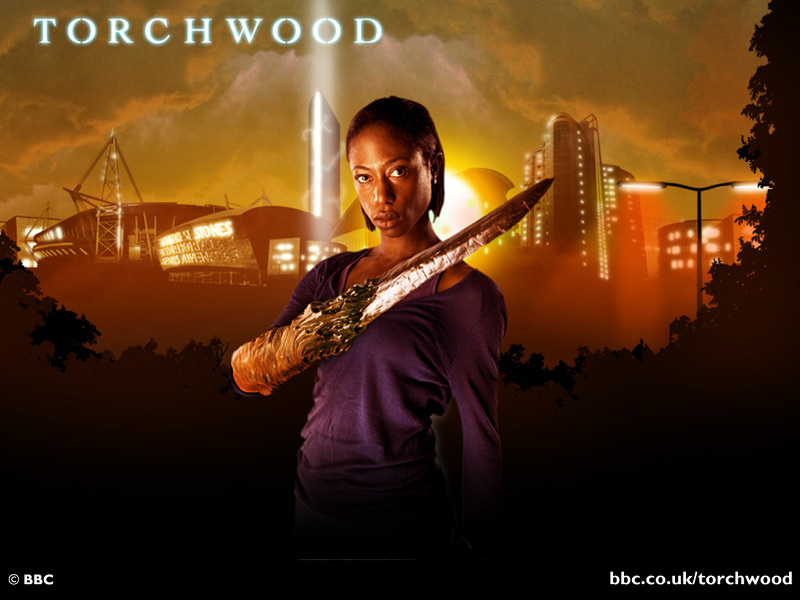 It would have been far more effective if Beth had actually turned out to be human after all as this would then have had implications for Team Torchwood's rather flippant use of their Inquisition like methods. That would have made for a compelling adult drama. That Jack particularly comes across as a sadist and once again has a 'jolly Jack' compassion bypass is troubling and that's potentially far more interesting than the unintentionally funny scenes of abandoned prams being pranged by cars later on. Beth's struggle to remain human just didn't stand a chance as he rather blantantly upped his testosterone level to prove he is 'da man' without little interruption from the rest of his team. But what do the writer and producer do? Half way through, Beth's arm turns into a set of dodgy prosthetics, she escapes from deep freeze, wakes up a load of Terminator wannabes and plunges the whole episode into a frenzied bloodbath that teeters from slaughter to laughter and not necessarily in a good way. A tender hospital reunion with her partner turns from good drama into something resembling a schlocky 80s video nasty.It returns to the scene of the crime of Series One - a pulp, gore filled piece of nonsense suitable for 14 year olds. And by the conclusion it mimics a typical 'Spooks' scenario of escaping from big explosions just in the nick of time. Yes, it looks spectacular and thrilling in places but it is equally empty and ridiculous when the lead Terminator alien starts camply hissing threats at the team and tries to set off nuclear weapons hidden in Cardiff. In the middle of this struggle between political drama and pulp horror there are some funny lines and in particular Ianto is fast becoming deadpan funnyman of the week. Even Owen was rather controlled in this for a change. 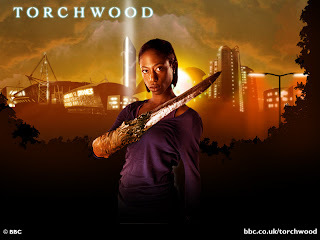 But Gwen, a character who I thought would really have put up an argument against the torturing of Beth and who I always assumed was the 'human' face of Torchwood, more or less just simpered rather ineffectively in the sidelines and didn't put her moral indignation into top gear. A very strange episode where I was hoping that the writer James Moran would more forcefully and closely discuss the morality of the interrogation of Beth on the grounds that evidence extracted by torture is often seen as unreliable and that the use of torture corrupts institutions which tolerate it. 'Sleeper' put forward a proposition but the second act of the episode drowned any 'for or against' conclusions in a pulp bloodbath and lots of explosions and it hardly attempted to understand just how corrupt Team Torchwood seemed to have become here. 'Sleeper' should have been arguing on one hand that the need for information outweighs the moral and ethical arguments against torture but also on the other hand that this argument is refuted by recent experience in Iraq where coercive, rapport-based interrogation that recognises respect and dignity, is the basis by which you develop intelligence rapidly and increase the validity of that intelligence. In the end, you must ask yourself did Beth's torture save enough lives or would an interrogation that recognised her human dignity have provided a better conclusion than Jack's dumb shooting gallery. What also annoys me is that this was competently and pacily directed, drew out some excellent performances, was scored very brilliantly with thumping bass and drums and a killer string section but then just favoured a glossy, below par Terminator rip off and runaround, and where some of the bombing scenes were very near the knuckle, over a genuinely interesting discussion about what constitutes being human and the incrimination of potentially innocent people. Oh, well. Perhaps 'CSI: Cardiff' will impress me with next week's episode as I came to the conclusion that this took a step backwards last night after the promising start of a week ago.